There were relatively few hardware surprises at Apple’s press event on Thursday: Upgrades to the iPad line and a new iMac with 5K retina display were the headliners. The software news was more of a recap as well; most everything that Apple discussed today was mainly a recap of features in iOS 8 and OS X Yosemite, which was covered previously by the company. So it wasn’t much of an event after all? If you think so, you missed the underlying theme of Apple’s entire product line: After years of “merging” iOS and OS X, [company]Apple[/company] now offers a broad range of products across many price points that work seamlessly together, providing a ubiquitous computing experience that few others can. Ironically, Apple started its Thursday event discussing how successful the iPad is, particularly in comparison to desktop computers. More than 225 million iPads have been sold in the first four years of availability; the most of any Apple product over the same time frame. And in the last 12 months, Apple sold 70 million iPads compared to Lenovo, the reigning PC sales leader, which sold 57 million computers. We often draw these comparisons; I’ve done it time and again over the past five years as smartphones have evolved and tablets have replaced computers for some. But it may be time to stop thinking of desktop vs. mobile or tablet vs. “real” computer. Instead, it’s time to consider how the cloud, software and hardware combine to let us do whatever computing task we need to do on the device we have in hand. At its event, Apple spent a fair amount time showing how this ubiquitous computing model works. Craig Federighi, senior vice president of Software Engineering for Apple, used every device in Apple arsenal to illustrate this. 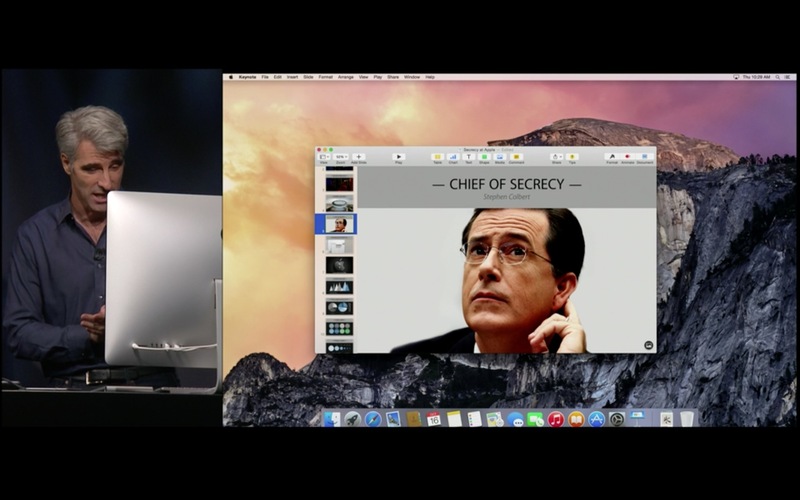 Starting with the iPhone, Federighi favorited some photos and added them to a presentation in Keynote. Picking up an iPad, he continued working on the presentation right where he left off, adding an embedded video sent to his email. A minute later, Federighi moved to a Mac, where he placed a voice call — which was routed over Wi-Fi to his iPhone — and got additional feedback on the presentation content. The effort was seamless across three devices and two software platforms. And because Apple controls the entire end-to-end hardware and software chain — plus iCloud, which ties everything together — it didn’t matter what device Federighi was using: He simply got his work done. While other companies are working on similar things, they’re not quite yet as far along as Apple is. Google is probably the closest with Android, Chrome, Chrome OS and Google Drive, but the experience isn’t as seamless and some of the best solutions still come from third-party apps; PushBullet is a perfect example. [company]Microsoft[/company], too, is making strides here with stronger cross-platform support among various devices from competitors. There are still some things you’ll want a full computer for, just as there are other things that work just fine on a handset. Apple has it all covered now in every budget. You can get the benefits of iOS 8 with an iPhone 5c for no cost on-contract, for example. or splurge on a loaded iPhone 6 Plus out of pocket for $949. 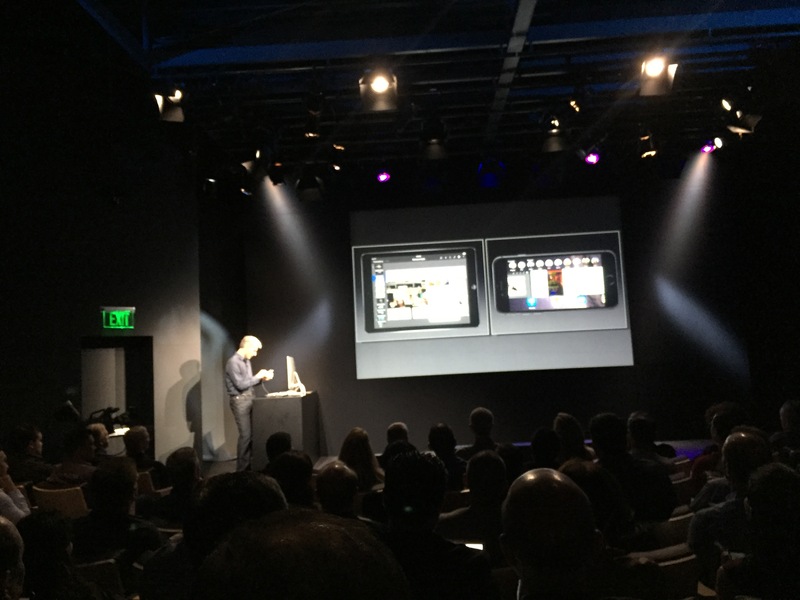 Last year’s iPad now starts at $249, making the cost of acquiring an iPad less expensive than ever, while the new iPad Air 2 costs between $499 and $829, depending on storage and connectivity options. MacBooks start at $899 and reach up to $1,799. 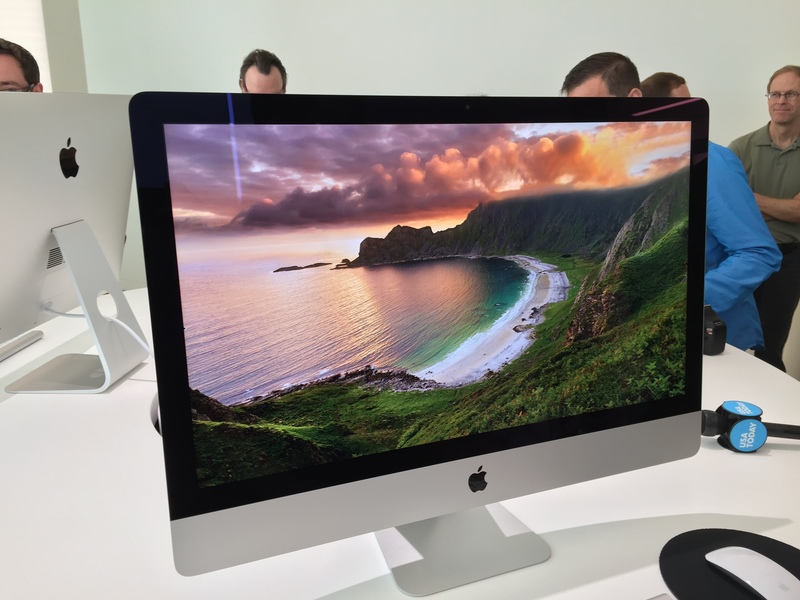 The upgraded Mac Mini gets you an OS X desktop for $499 while the new iMac with retina 5K display is $2,000. And of course, there’s the Mac Pro which can be super-sized for maximum performance at $3,999. No matter what you buy or how much you spend, all of these now work together like never before. 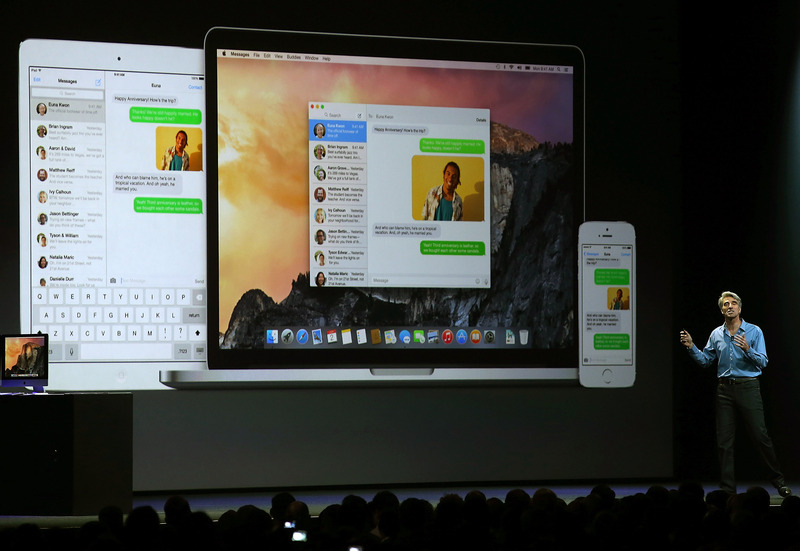 Yes, Apple has “merged” iOS and OS X but not with a clunky MacBook laptop running tablet or phone software. Instead, the apps on both of Apple’s platforms and all of its devices work in tandem so that your choice of device or your location is less of a barrier to getting things done. You can move about freely between Apple desktops, laptops, tablets, phones; and eventually even your Apple Watch. I’ll still be looking at the PC vs tablet numbers going forward but I don’t think they’re going to change my outlook: The idea of seamless, ubiquitous computing is closer than ever before and the companies that thrive in the next few years will be focused on bringing that experience to consumers regardless of their budget or device choice. The $999 Mac Mini, with PCIeSSD is a pretty fair value, but I see no mid-priced phone with a decent sized screen. 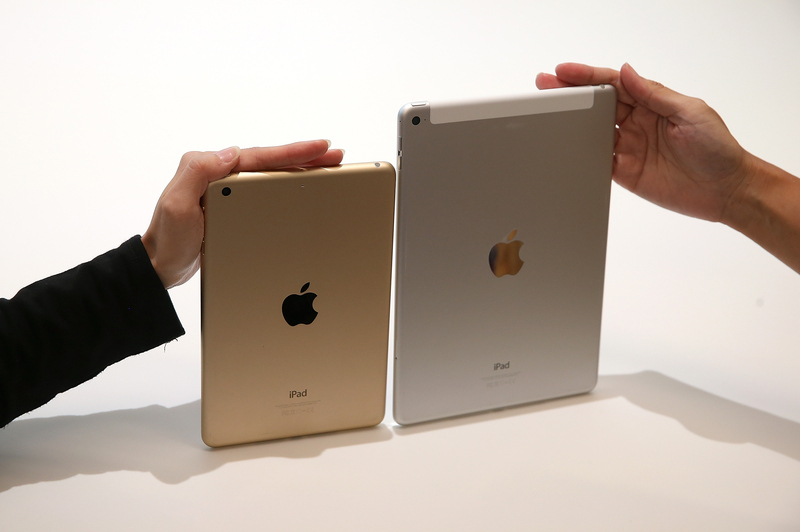 As for the iPad Air at $399 — it is better priced now. I got one when BestBuy had a sale for $450 some months ago – seems like a big phone to me. It is great quality, perfect for showing photos, reading and sending mail and such, and quite portable, but I still find a PC and smartphone the more important tools. The top class ecosystem is truly Apple, the least expensive complete system goes to Google, and Microsoft PC still a base to throw older and newer programs / apps on, with a still lagging phone apps inventory. Microsoft + Android, is more complete, IMHO. Microsoft online docs are pretty darn good — Exchange may be a good way to go. Apple, Google and Microsoft all have something to say from themselves. Don’t forget the recent partnership with IBM. Apple are targeting the corporate market with ubiquitous computing, new territory for Apple as they have relied on BYOD so far. Blackberry already has a shipping mobile device sharing package called Blend which has a wealth of configurable security options for IT administrators to control via policy. Apple might have sold more tablets than Lenovo sold computers over the past year, but the news media points out only the iPad is considered a dying business and they see Lenovo as healthy. It’s as though what is considered good for most companies is considered bad or failing for Apple. The news media has weird ways of comparing companies. Apparently you haven’t heard the iPad has the magical SIM card now? Apple has changed the game again! Verizon is not onboard with the SIM card change — using different tech which would have most towers incompatible. I believe that Apple is legitimately trying to push the iPad as a part of the larger work ecosystem rather than simply marketing. That said, Apple should communicate that other models, such as Office365, exist to fill such gaps. Not enough people use these features, and this could make the iPad a central part of their work lives by making the effort. Workflow is complex stuff when you dig into it. Myself, I expect to use an iMac at home and carry the iPad for most of my work purposes. Email, Excel, Word, are large parts of my life so this wonâ€™t be a problem. Oher apps, including Axure and Adobe CS, need a model for remote work. Actually, Adobe’s Creative Cloud applications and services offer essentially the same handoff/collaboration capabilities between iOS and OSX/Windows platforms. Yes, sort of. It will be interesting to see how the current approach plays out. It is more of a complementary strategy than a hand-off. I canâ€™t really work on my documents on an iPad yet using the same tools. I need to play more with their mobile apps to see how they fit in. I agree saying one is different from the other has always been contrivance. It made more sense when one set of things was so much less powerful. The further we go along the less the difference and the more silly the contrivance seems. Of course an ipad is a computer. So is any smart phone. I also agree that Apple is working hard at cross device usage. However, you could do similar with Google products. You countered another poster that MS syncs data but not app state. This to me seems splitting hairs as much as computer vs tablet. I can start a Googel doc on a phone or tablet and switch to another device to continue with it and collaborate with others while doing it. I can also place a call through Hangouts and don’t even need to be doing a circus trick with my cell phone to pull it off. I don’t have to have a cell phone full stop to pull it off actually. I could actually do a lot of it using a mix of Microsoft and Google hardware and software if I wanted – in various combinations and possibilities. Not to take away from what Apple is doing. The big thing to me was them essentially entering the lower cost market unless they are just selling old stock of those older versions of ipad mini and that isn’t what I took it as. That said, they appear to be doing well with this cross device seamlessness. But I would not say they are way out ahead. I’m not even sure they are in the lead. Especially since this is all just demo at the moment and historically icloud has failed to cash well the promises apple demos have made. I”m sorry but what is it exactly that they are doing that the others can’t? I could start a Google Doc on almost any device and pick it up and work on it from there on almost any other device. Kevin’s reply mentioned sync of app state rather than just data. But I fail to see any practical difference. They probably would be shouting it from the roof tops if it was something they hadn’t already been doing for some time now. Finally I don’t think I used either ‘could’ or ‘do’ incorrectly or confusingly. But let me assure you that I have used Googld Docs from multiple devices prior to this post previously and will do so again. And I almost certainly shall. Think you’ll find everything mentioned in the article I can already do on my msft devices. So what’s new? We’ve been able to have this experience on Windows devices for more than 2 years now; Windows Phone, Skydrive/Onedrive, and any number of Windows 7+8 device form factors… with choice of hw manufacturer to boot. How is this something innovative for Apple? OneDrive syncs data, yes. App state across devices, no. Depends on the app, in both cases. OneDrive is not the medium that MS is directly using to sync app states, that is Azure. Write your app with MS recommended settings (like you have to do with Apples tech) and the state roams. Might add that both OneDrive and iCloud run on Azure.